Squamous cells are the cells which are present in the outermost as well as the middle layer of the skin. Also the squamous cells are also present in the lining of the digestive tract and the hollow organs of our body. Squamous cell carcinoma is generally not a very aggressive cancer but if the there is a delay in the treatment of squamous cell carcinoma, the carcinoma could metastasize and even become fatal. One of the most common reasons of squamous cell carcinoma is unprotected and prolonged exposure to sunlight. Also prolonged use of tanning beds may also cause squamous cell carcinoma. There is no one particular body part where squamous cell carcinoma may occur. Squamous cell carcinoma can occur anywhere on the outside as well as the inside of the body. It is observed that squamous cell carcinoma occurs on the body parts which generally remain exposed to the sun or UV rays. So, squamous cell carcinoma may occur on the neck, the scalp, face etc. But squamous cell carcinoma may also occur on the genital area, back, mouth etc. If you observe a scaly flat abnormality on the skin which does not change in about two three months, you must visit a doctor. Squamous cell carcinoma is caused when a DNA error causes the cells to grow at an abnormal rate. This damage to the DNA is caused when the skin is exposed for a long time to UV rays from the sun and tanning booths etc. Squamous cell carcinoma is also found in people who have a weak immune system or are exposed to toxic radiation and substances like industrial waste. Generally, people who have lighter skin are more likely to develop squamous cell carcinoma. As fair skin is less pigmented, there are higher chances of UV rays damaging the skin and causing squamous cell carcinoma. Prolonged exposure to sunlight without any protective clothing and sunscreen may also cause squamous cell carcinoma. People who have a history of sunburns in their childhood or adulthood are more likely to develop squamous cell carcinoma because of properties of their skin. A past incidence of squamous cell carcinoma may indicate a likelihood of relapse. Some genetic disorders cause a person’s skin to become very sensitive to sunlight. In such cases, there are more chances of squamous cell carcinoma. In India, the first step towards the treatment of squamous cell carcinoma is the diagnosis. The treatment begins with the physical examination of the area under suspicion. Thereafter, before the treatment for squamous cell carcinoma begins, the doctor will take a sample for biopsy to be sent to the laboratory. The best treatment option for a patient in India depends upon the location of the squamous cell carcinoma, its size and the extent to which the squamous cell carcinoma has spread. Not only squamous cell carcinoma, but mostly all types of cancers are very common in India now. In metros like Mumbai as well as non metro cities, every day nearly 1000 people are diagnosed with cancer. Some of the best cancer hospitals in Mumbai, now fear that not carcinoma are becoming a lifestyle disease. One of the top reasons for such situation in India and especially Mumbai, Delhi etc. is the industrialization of India and the big cities. All the top cities of India have a lot of pollution and industrial waste that is not managed properly. Infact, the sea of Mumbai is notorious for being the dumping ground of toxic waste. As the awareness regarding cancers is spreading in India, the civic body of Mumbai took the initiative to stop the people of Mumbai and the industries in Mumbai from dumping their waste in the sea. Such initiatives have been taken all across India but still because of the rising levels of pollution in all major cities like Mumbai, one of the top reasons of carcinoma is exposure to heavy industrial toxins. There are many best cancer research institutes in India which say that much like high blood pressure, asthma now carcinomas are also becoming a lifestyle disorder. Some of the top doctors of Mumbai and the rest of India have seen an alarming increase in the number of cancers patients that come to them. Dr. Shome, who is known as one of top surgeons of India and is based in Mumbai, says that timely diagnosis and top quality treatment is necessary for curing the cancer. Squamous cell carcinoma can relapse even after the treatment therefore it is very important to see the best doctor as soon as you notice something odd. The best treatment of squamous cell carcinoma is available in all the top hospitals of India especially in Mumbai. The treatment begins with diagnosis and may be followed by surgery, radiation and chemotherapy. The treatment may also involve extensive surgery of various layers of skin if the squamous cell carcinoma has spread to other body parts. There should be no delay in the treatment of the squamous cell carcinoma and only the best doctor should be consulted for the treatment. The best doctor will discuss the complete treatment plan with you. In Mumbai, the top cancer hospitals provide treatment to a lot of patients from rural India who because of lack of awareness delay the treatment for a long time. In such cases treatment almost becomes impossible. The best approach towards treatment is to visit the doctor as soon as you observe something abnormal. 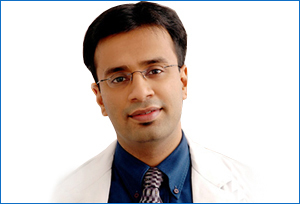 Mumbai has some of the best hospitals for the treatment of squamous cell carcinoma. More and more people of Mumbai and other metros including children are being diagnosed with cancer. Sadly, Mumbai also reports highest number of cancer deaths in the country. Being vigilant and observant about one’s body can help in early diagnosis and effective treatment of many types of carcinomas.